Software quality models have primarily been based on top down process improvement approaches. Such models are based on the fundamental principle of empowerment of all involved and foster a questioning attitude through the active exchange of ideas and criticism ensuring that the most appropriate approach for quality improvements is adopted. The holistic view of systems enables the incorporation of many viewpoints held by different parties within the same organisation and by the same party at different stages of development. 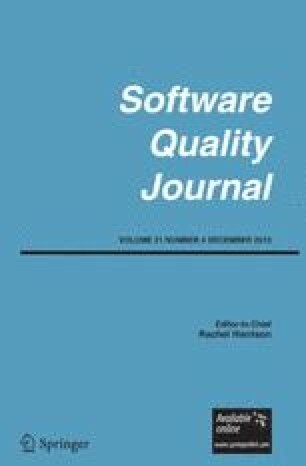 In this paper the GEQUAMO (GEneric, multilayered and customisable) QUAlity MOdel is proposed. GEQUAMO encapsulates the requirements of different stakeholders in a dynamic and flexible manner so as to enable each stakeholder (developer, user or sponsor) to construct their own model reflecting the emphasis/weighting for each attribute/requirement. Using a combination of the CFD (Composite Features Diagramming Technique) developed by the author, and Kiviat diagrams a multilayered and dynamic model is constructed. Instances of models are presented together with the algorithm for the computation of the profiles. Indications of future work conclude the paper.